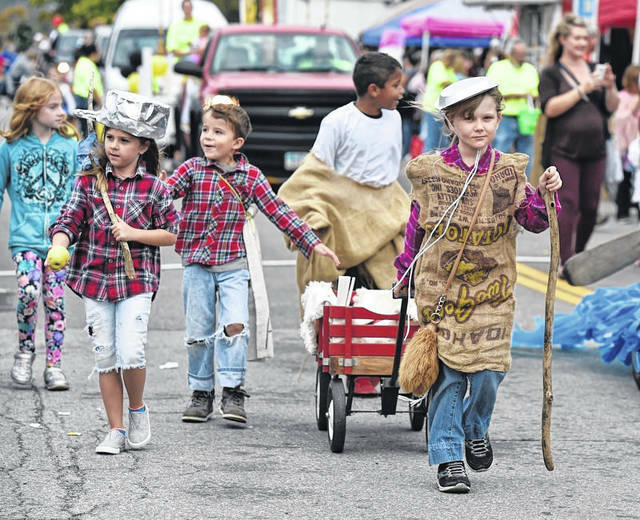 BUTLER — A celebration of the season and the bounty of the Johnny Appleseed area will fill the main streets of Butler the weekend of the Apple Fest, Oct. 12-13. The village’s 2018 Apple Fest will kick off at 2 p.m. on Friday with Butler Mayor Joe Stallard. Kids who have written poems will read their works. After opening ceremonies, the new Miss Butler Apple Fest will be named. A panel of judges will consider names of applicants before the festival starts. High school students at Clear Fork are eligible to participate in that event. Applications are available at the school guidance offices. This year a question will be asked of participants at the Apple Fest. This differs from procedures in the past. A number of vendors selling foods and other items will line the streets during the event. Natasha Waltz, on the committee organizing the event, said entertainment will fill both days. There are also a number of events for kids. On Friday there will be a kids’ treasure hunt at 3 p.m. The Future Farmers of America (FFA) will have a petting zoo. A display at the Butler branch of the Richland County public library will have information about events, said Waltz. Mike Hemmelgarn, a magician and comedian, will perform at 5 p.m. Friday. Jai Merina, on acoustic guitar, will play at 6:30 p.m.
Local musician Luke Watson will perform at 9 p.m.
A group doing a Civil War re-enactment will set up Friday evening and be at the festival all day Saturday. There will be a 5k race Saturday, and registration for that begins at 7:30 a.m. The Apple Fest parade will be at noon Saturday. A “kiddie pedal pull” event will be at 2 p.m. Saturday. A vintage baseball game also will be staged at that hour. The Buckeye Cloggers will perform at 3:15 p.m. The band Never Surrender will play at 6:30 p.m., followed by the Red Ball Jets at 9 p.m.
Other events include an apple bob and a gun raffle, which will benefit the Apple Fest. Another band may be lined up to perform, said Waltz. Some arrangements are still being made, she said. 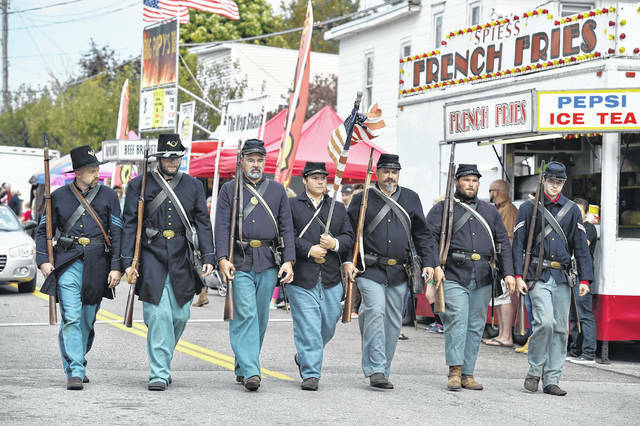 Members of the 19th Indiana and 41st Ohio volunteer infantry groups march in the Apple Fest Parade in Butler on Saturday. https://www.thebellvillestar.com/wp-content/uploads/sites/39/2018/10/web1_Apple-Fest_03.jpgMembers of the 19th Indiana and 41st Ohio volunteer infantry groups march in the Apple Fest Parade in Butler on Saturday.